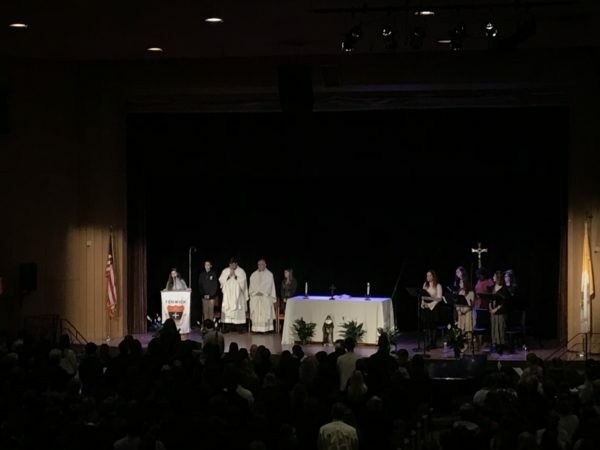 Last week, The Arch Street Band visited Bishop Fenwick High School(BFHS), in Peabody MA, to perform the music for their Mass of Mercy. 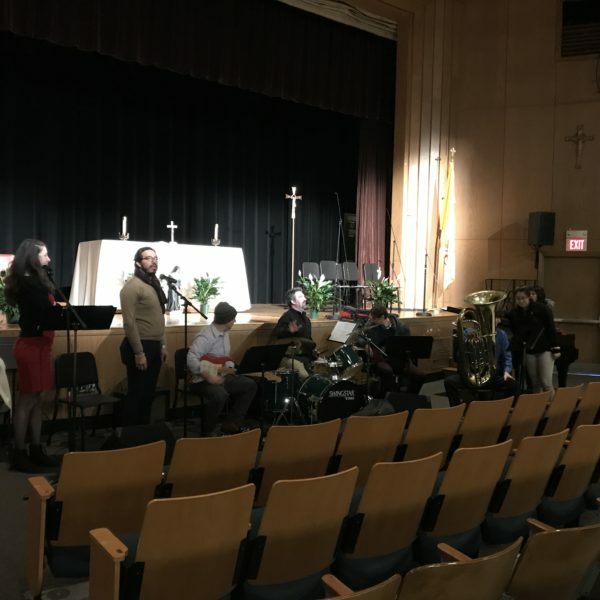 Members of the BFHS band and choir received lessons from The Arch Street Band musicians before joining them for Mass. Bishop Mark O’Connell was the presider. Following the Mass, the band stayed at the school to answer any questions and eat lunch with the students. The band has a number of these types of performances out in the community coming in the near future.